Timonium, MD – KatzAbosch is pleased to announce that our Director and Vice President of the firm’s Board of Directors, Anita Sheckells, CPA, CCIFP, CCA, has been awarded the Maryland Accountant Advocate of the Year award honored by the Small Business Administration. The U.S. Small Business Administration (SBA) was created in 1953 and since January 13, 2012, has served as a Cabinet-level agency of the federal government to aid, counsel, assist and protect the interests of small business concerns, to preserve free competitive enterprise and to maintain and strengthen the overall economy of our nation. Through an extensive network of field offices and partnerships with public and private organizations, the SBA delivers its services to people throughout the United States, Puerto Rico, the U.S. Virgin Islands and Guam. The award presentation will take place during the 2018 Maryland Small Business Week Awards Luncheon on Thursday, June 7th from 11:00 a.m. – 1:30 p.m. at Martin’s West in Woodlawn, MD. This event will celebrate the achievement of Maryland’s outstanding entrepreneurs and small business advocates. The Maryland Accountant Advocate of the Year Award recognizes individuals who have contributed as accountants to a better economic and financial climate for small businesses. These individuals volunteer time and energy to assist small businesses, advocate for the reduction of financial and regulatory requirements for small business, and support for initiatives to promote legislation strengthening the financial health of small businesses. Anita Sheckells, a Director with KatzAbosch and Vice President of the firm’s Board of Directors, works in consulting and planning for closely-held businesses. A dedicated professional, Anita holds the prestigious distinction of Certified Construction Industry Financial Professional (CCIFP), a certification held by less than 50 professionals in Maryland and less than 1,000 professionals in the United States. As a subject matter expert in construction accounting, Anita has authored several financial and accounting articles for various publications and associations. Anita specializes in services to the construction, architect, engineering and real estate industries, including: special accounting and tax issues, bonding and banking issues, business advisory services, tax planning, and accounting and tax services for closely-held businesses. Volunteering time and energy outside of business duties to assist small firms is part of what makes Anita a prime recipient for this award. Over the years she participated in numerous organizations providing her leadership and technical talent to drive important initiatives for each organization. Many of the associations she is part of presently, support the construction industry. As an industry dominated by small businesses, Anita’s career experience aligns with understanding their unique needs and demonstrates how advocacy is typically driven at the grass-roots level. Furthermore, her commitment to this industry is very distinguishable since she was awarded the Certified Construction Industry Financial Professional (CCIFP) designation. 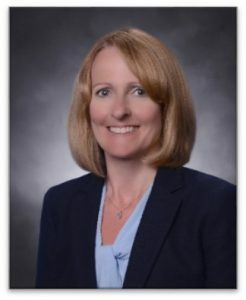 Some of the leadership roles held by Anita have been as Treasurer and Board Member of Associated Builders and Contractors (ABC) and Treasurer and Board Member of the Howard County Chamber Of Commerce. Through these leadership roles, she has met many other individuals and business owners in the construction and other industries. As a result of these interactions, Anita has assisted individuals with starting and growing their own companies and has provided them with financial, tax and business advice. She is always willing to connect other businesses so that they can work and grow together.